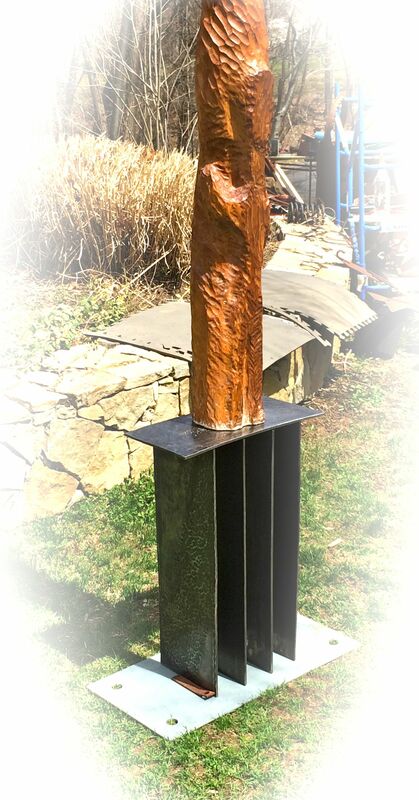 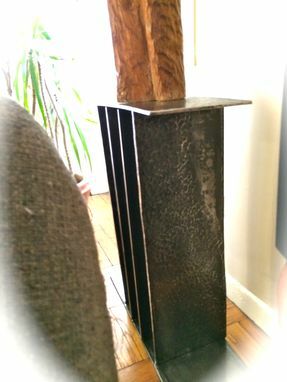 A steel art pedestal custom designed for a forty-eight inch wood sculpture. 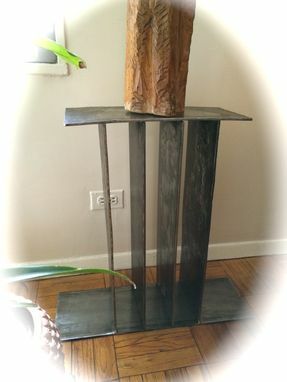 The pedestal is a set of four louvred steel plates standing on a twenty-four inch steel base and topped by a seventeen inch steel top shelf. 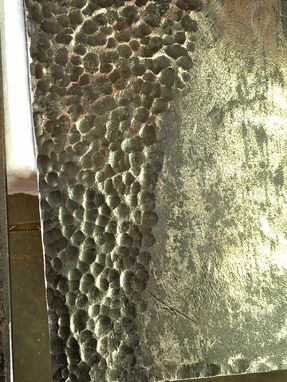 All the steel is quarter-inch thick industrial steel plate. 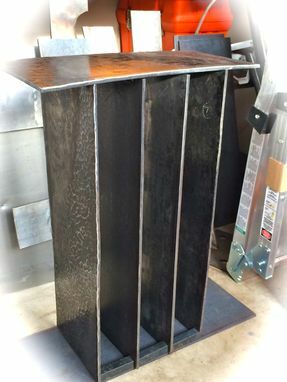 The outside surfaces of the two end plates and the top shelf have surface work of hammered and beaten steel, performed by hand in a traditional blacksmith's coal-fired forge. 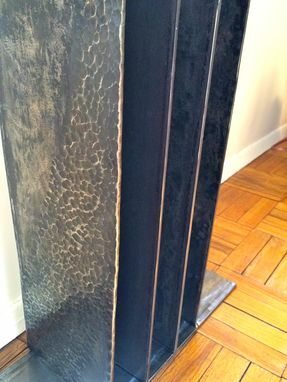 The detailing on the steel echoes the finely chiselled texture of the sculpture itself.